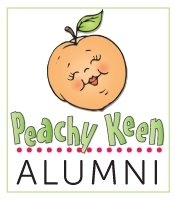 GOOD MORNING my sweet friends & welcome to our 4th & final day of sneaky peeks for our April release! WOW, what a week! I hope you ALL enjoyed EVERYTHING just as much as WE enjoyed creating everything just for you! ;) Okay, today we are featuring our last 2 sets! 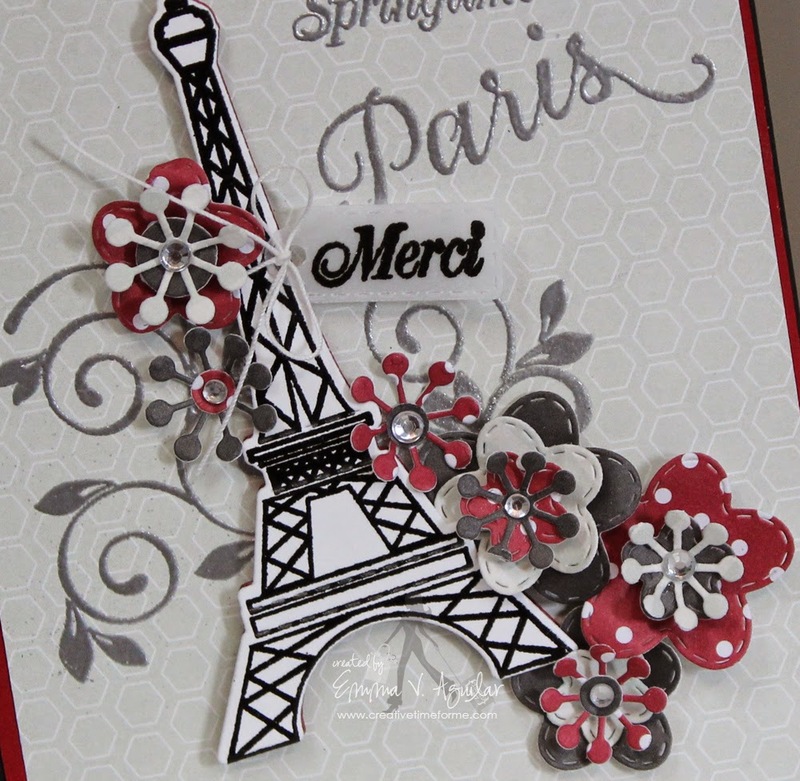 First up is "Springtime in Paris", this set comes w/a total of 21 stamps & 1 coordinating die! I am just IN LOVE w/this set because it is going to be so much fun to play with! Many of you may not know this, but I am french & mexican but I do NOT speak either of the languages! lol…. How pathetic is that! 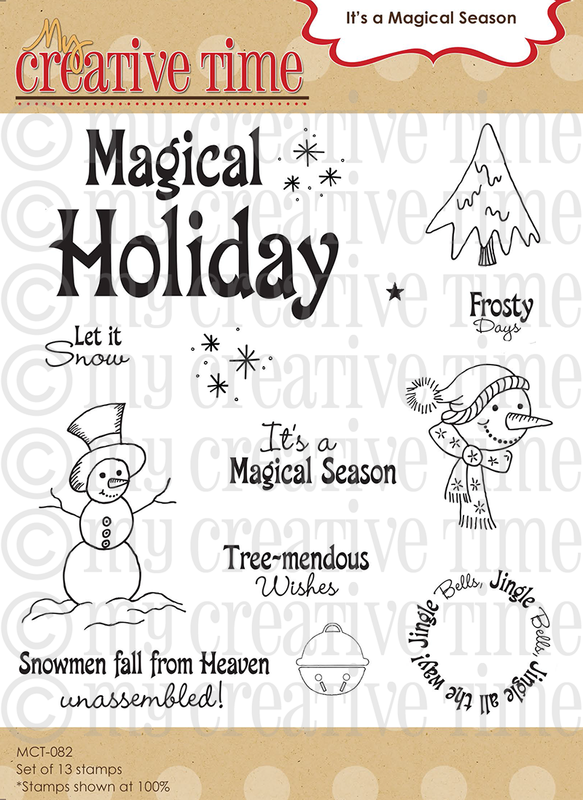 ;) You will notice for the packaging of this stamp set, below each french word, you will see the meaning of it! Keep in mind, the definition will NOT be on the stamp, it's just a reference for YOU! ;) Hope that made sense. 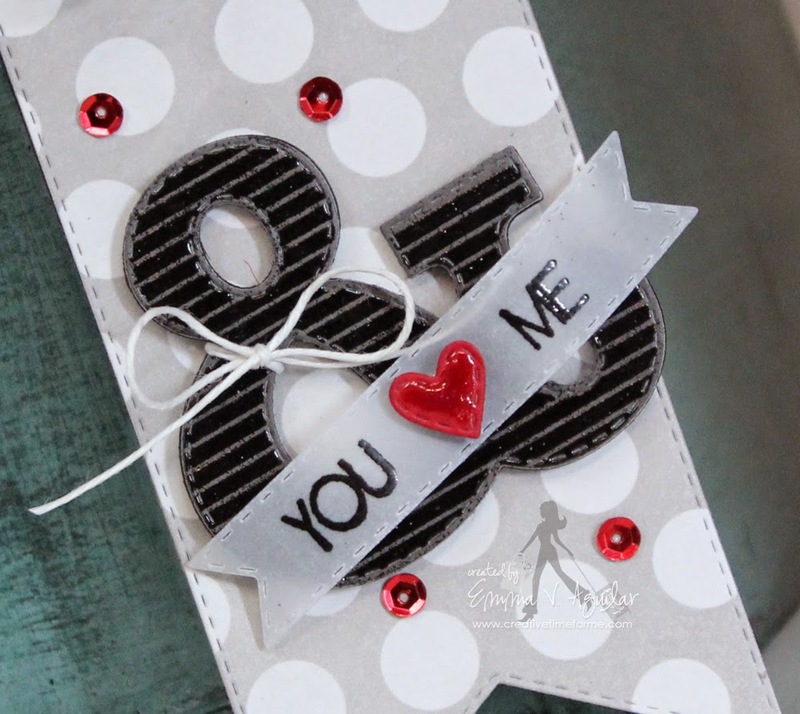 As you can see for my card today, I used the new flower dies that we featured yesterday! Isn't it amazing how DIFFERENT these can look when you mix & match them up? I just LOVE them! EVERYTHING else on this card is from this new set as well as the cute Eiffel Tower Die! The other item I used was the little vellum tag which was cut out using the tag from my Chunky Jar Accessories! 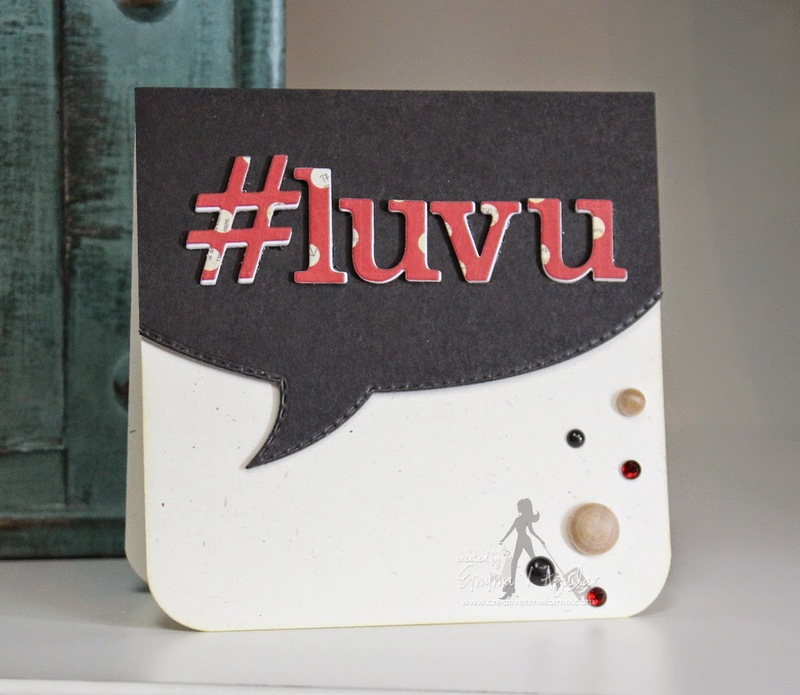 I basically heat embossed everything on this card then added a little bit of bling here & there! Okay, now onto our second set we are showcasing today! This set is called "And Then Some"! It include a total of 14 stamps & 1 die. 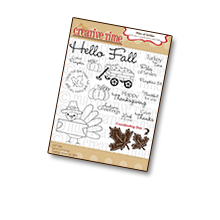 I show you in my video below how you can stamp the different patterns onto this FUN trendy die! I never realized how POPULAR ampersands were nowadays! This is a REALLY FUN die that can be used in SO MANY different ways! Here is my video showing how to used these new goodies! Okay, now onto the lucky winner from yesterday's sneaky peeks HERE~! 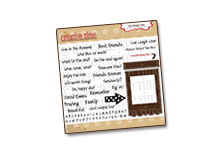 Your pretty calendar page just blew me away!!!! :) So, so pretty!!! 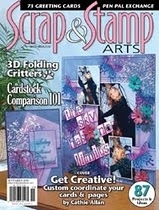 I can't wait to create with all these new dies & stamps! CONGRATS Miss Jennifer! I will email you momentarily to get your info! 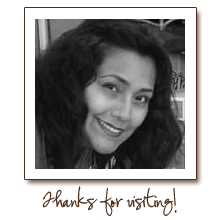 Thank you ALL for stopping by! 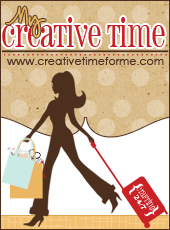 Just think tomorrow will be here before you know it so you can finally purchase your favorites from this new release! 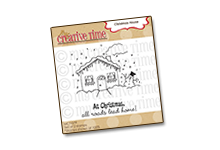 -All new stamps & dies will be available for purchase tomorrow, 4/25/2014 HERE at 8am PST! -Don't forget to use the code: APRIL2014 at checkout to receive your 20% off your entire order! -Sale will end on Friday, 5/2/2014 @ midnight PST! Thanks so much for sharing such Awesome projects! 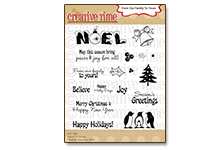 Love the stamps and dies! Can't wait for the release tomorrow! Your card is so gorgeous & romantic you really outdid yourself for sure and love how your new floral goodies look with it that's what I so love about your things is that you put so much thought into it all so it all works together so it sure doesn't get any better than this. 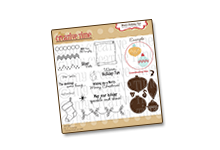 Love your tag is so cute and fun another super idea of yours that will add so much to our Miss Emma's goodie collection. OH my GOODNESS!! My Daughter is going to FREAK about this part of the release! She LOVES Paris!! (bedroom and bathroom decorated in the Paris theme) Cant wait for tomorrow!! Everyone did such a great job on all of their crafty projects! LOVE your cards!!! Holy catfish!!! Emma your card is gorgeous!!! I can't wait to see the entire release because everything you and the DT have created are to die for!! The DT totally has blown me away today!! I am loving the "& then!" This is getting more exciting by the minute! #Emmarocks! #Stitchedwordbubble #craftingcoma! Gorgeous projects - love the colours! The new releases are awesome! "And Then Some" a great way to end the release. As always the team has done a wonderful job showing off all the new products. J'aime le jeu de la Tour Eiffel! (I love the Eiffel Tower set!) 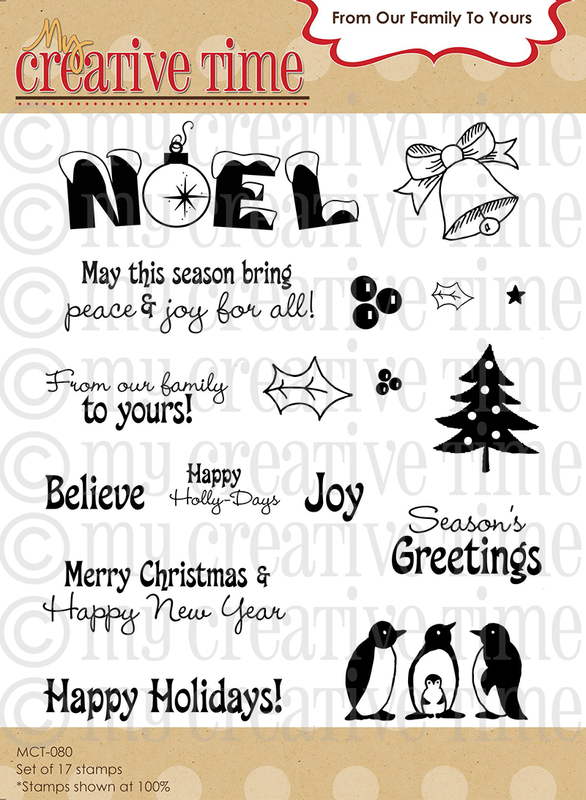 Your card and tag are gorgeous!!! Miss Emma, your card is AWESOMELY beautiful!! and the card is so so cute! I LOVE the Paris set!!! I have to have this set!! I love everything French!! I think I was French in another life! LOL the & is great too! can't wait to get them! can't wait until the AM!! thanks so much! This is exciting! Can't wait for tomorrow---everyone's projects have been amazing this entire week. Wow, so beautiful. What an awesome release Emma! Emma ~ Oh my word ~ I LOVE your card and tag! I LOVE the way you did the Eiffel Tower one ~ simply STUNNING! The flowers and stamps just complete it even more! Then you tag ~ Too FLIIPING FABULOUS! Again LOVE this release ~ LOVE what the DT's have done to! CONGATS to the winner! AMAZING week for sure! Another truly amazing release! I'm so impressed with this one that I have to have it all. Can't wait to order my own. 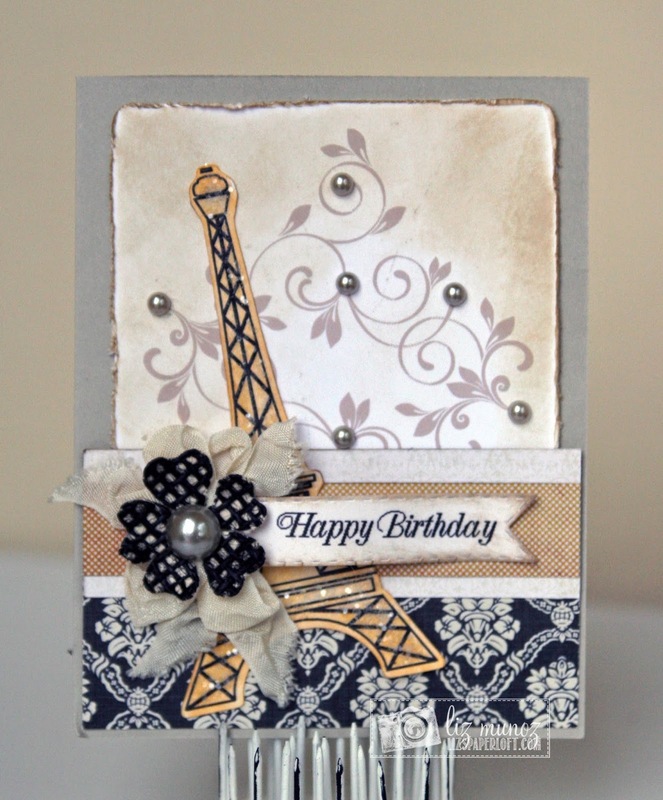 Your creations today are all just fabulous, especially the Eiffel Tower card with the beautiful flowers all around it. Not long ago I was thinking that I would like to have an ampersand die, so I'm really excited for that. I have so many ideas in my mind for this release that I'm going to have to write them down so I'll be ready to go when my order arrives. Just got through going through the awesome projects by the DT! Wow! Emma another great sneak! Love your projects! Springtime in Paris....Love! 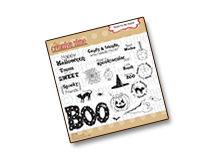 Super duper dies and stamp sets for this release. Paris stamps and the Eiffel Tower die are wonderful, wonderful. My oldest daughter and son-in-law are big Francophiles - visit France every year at least once a year. This year they will be there for Tour de France and I will be able to make great things of them using the Springtime in Paris set as well as the bicycle and park bench dies. Thanks Emma for making life more fun. Great sneaks, I love your projects, thanks for sharing, your DT did a great job! What a beautiful projects!!! I love this new release!!! TFS!!!!! Got so many ideas for using the & sign. I mentioned several times I didn't think this would be used very often but I was proven wrong. Great hop. thanks for having it. More fabulous sets, Emma! Loving the ampersand! Thanks! This may be my favorite release to date. I am in love with everything. Hi, I like very much your romantic card. I´m from Venezuela, I don´t speak english, congratulations. 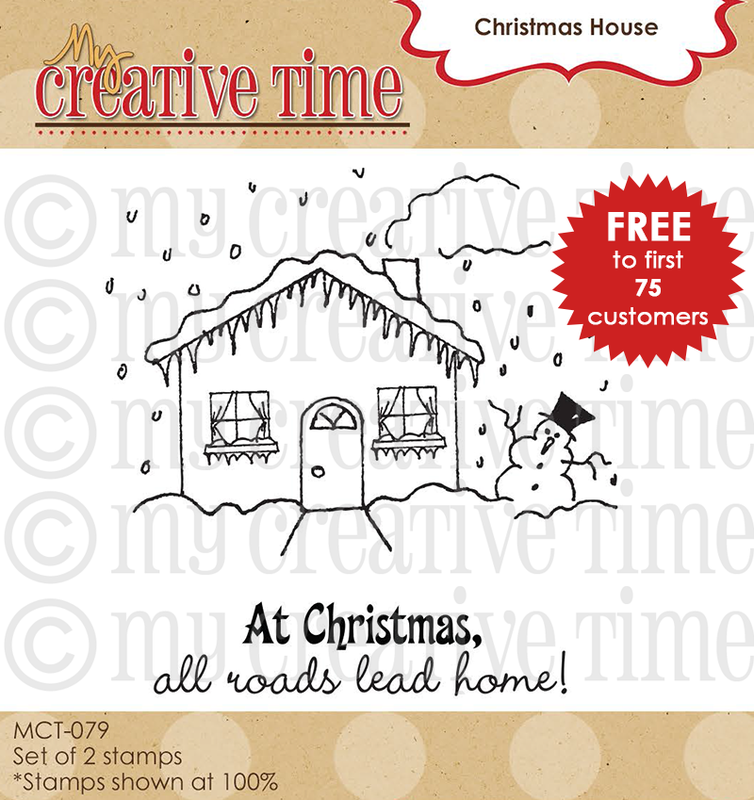 Congratulations to the winner...enjoy your stamps and dies! Wow OH Wow! What a fantastic release and week of sneaks...I can't wait to see what they all look like and play with these new stamps and dies. You and your wonderful Design Team have had great projects today and all week. I am sure you all have great projects lined up for the hop tomorrow. Fabulous job everyone! I'm already in love with Springtime in Paris! Super GORGEOUS projects again today Emma!!! 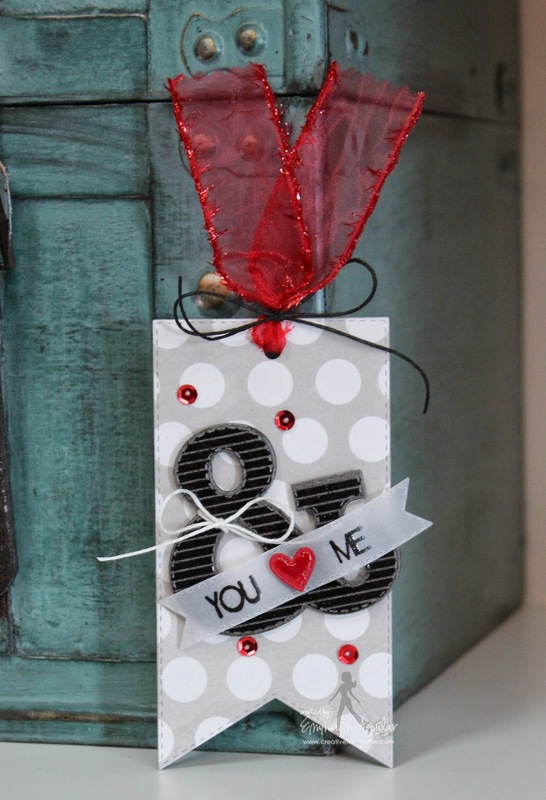 You really know how to ROCK your projects and showcase those new stamps and dies!!! 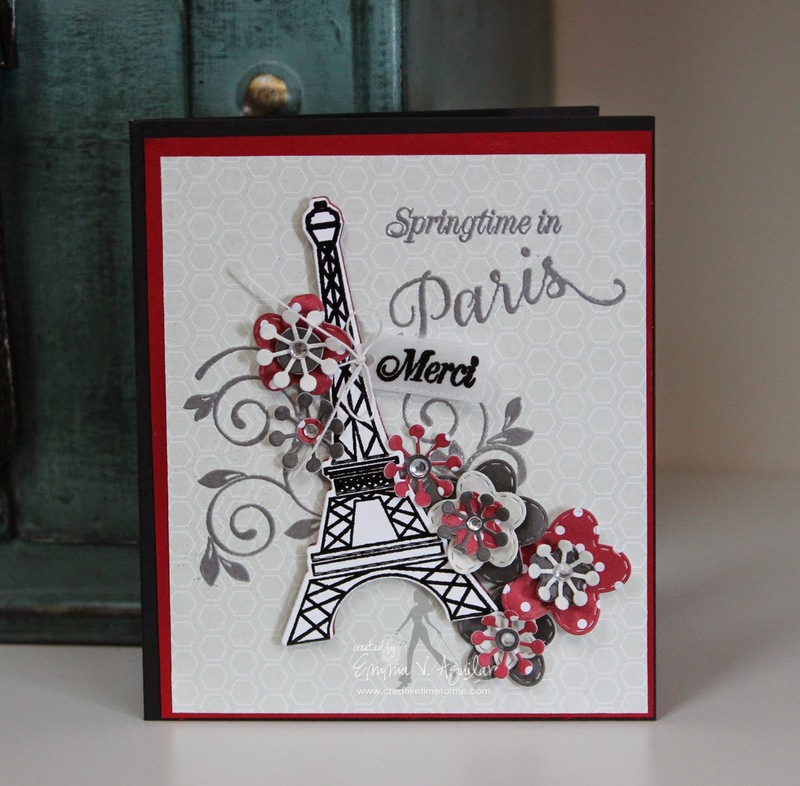 Emma, your "Springtime in Paris" card is absolutely gorgeous!!! I just love every little detail! And then your tag is so darn cute! And you know I can wait to get my hands on the pre-sneaks!!! 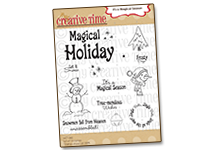 Such wonderful projects...love the dies and stamps....your design team is really the best!!!! Awesome awesome release Emma! The projects made with this release are super cute! !